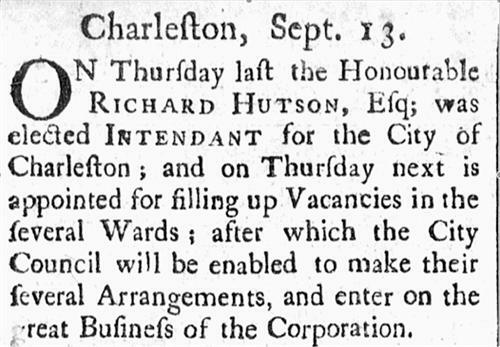 Elected Charleston's first intendant September 11, 1783; re-elected September 13, 1784; succeeded by Arnoldus Vanderhorst in September, 1785. Born 1747, died April 12, 1795, buried in Circular Congregational churchyard. 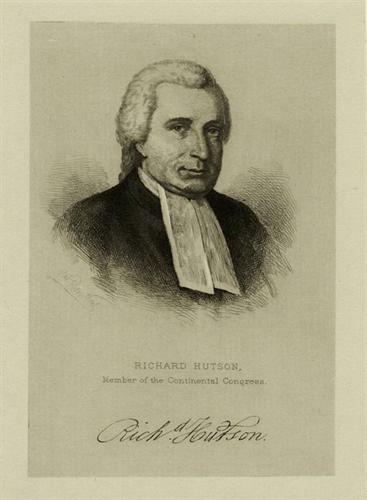 Son of Reverend William Hutson and Mary Woodward, did not marry. Graduate (1765) of The College of New Jersey [Princeton]; studied law; admitted to bar and practiced in Charleston. Planter in St. Andrews Parish. 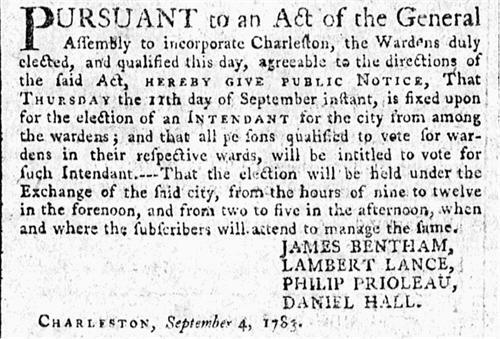 Militia service in Charleston, June 1776; exiled to St. Augustine after the fall of Charleston to the British, May 1780. Member of South Carolina's Second General Assembly, 1776-1778; member of the Continental Congress, 1778-1779; elected from St. Andrews Parish to five General Assemblies, 1779-1790. 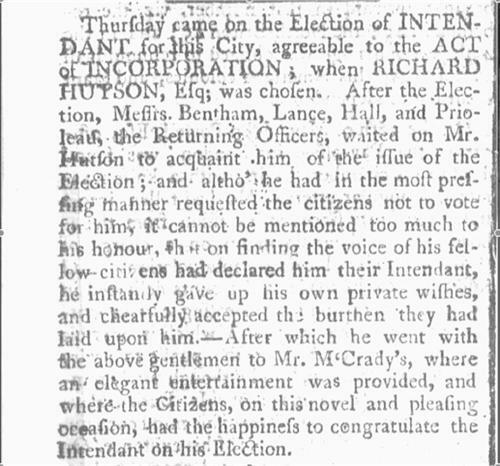 Lieutenant Governor 1782-1783; 1784 appointed judge of the Court of Chancery, becoming senior judge in 1791. Bailey, N. Louise. Biographical Directory of the South Carolina House of Representatives. Vol. 3, 1775-1790. Columbia: University of South Carolina Press, 1981. 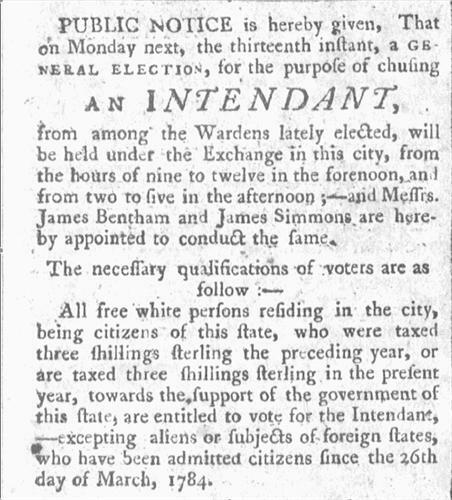 South-Carolina Weekly Gazette, September 9-13, 1783; September 7-9, 1784.